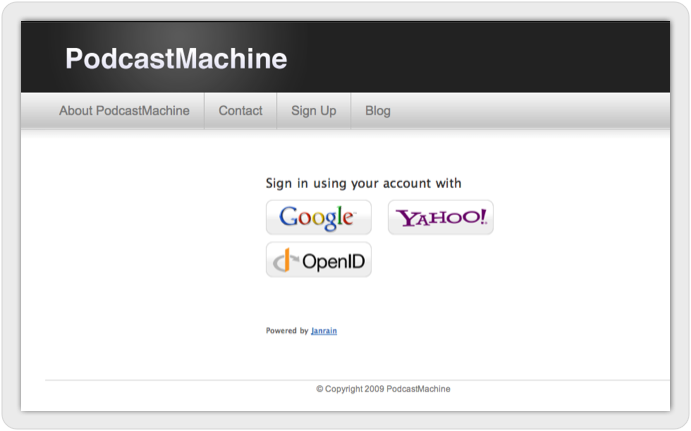 Podcast Machine uses OpenID as authentication system. 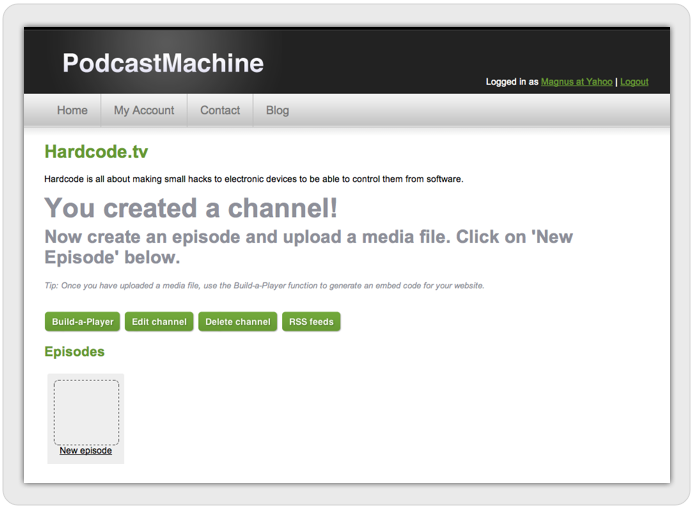 This allows any OpenID enabled account to login to Podcast Machine. In this example we use an Yahoo account. If you dont have an OpenID account, we create one for you. First I have to enter a title and a description of my channel. The channel is now created. Now I have to create the channes first episode. Remember that a channel constists of multible episodes. I click on "New episode". After creating the episode and selecting my source audio file 'Interview_with_Leo.mp3' Podcast Machine begins uploading the file and transcoding it if needed. 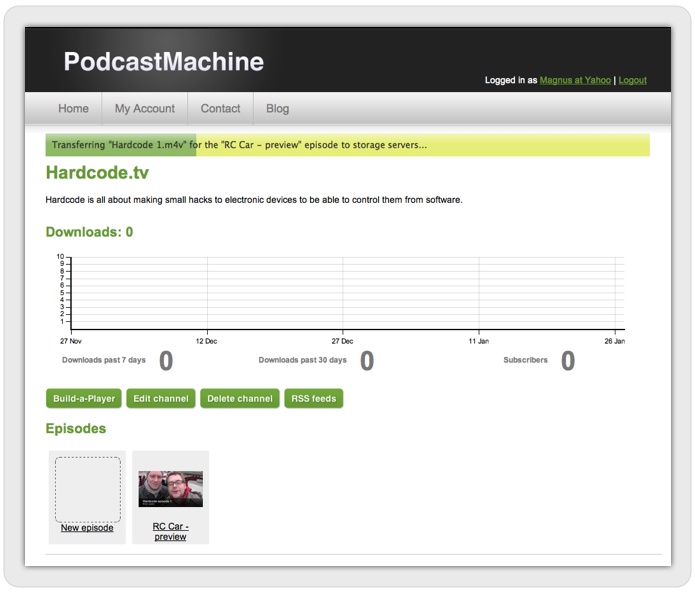 This happens automatically, and I can browse the Podcast Machine pages while this is happening - checking out the lastest stats to on how many downloads the Podcast have. 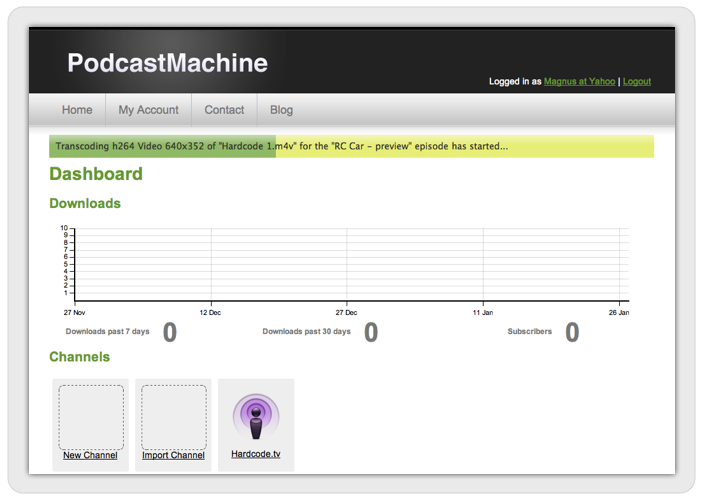 While waiting for the upload and transcoding to finish, I visited the Dashboard. As you can see, the infobar at the top of the screen is constantly showing me how the upload and transcoding progress is coming along. Oh.. its transcoding at the moment - and its almost done.. Try making your own customized player - click here. Remember that the Flash Player also handles audio. 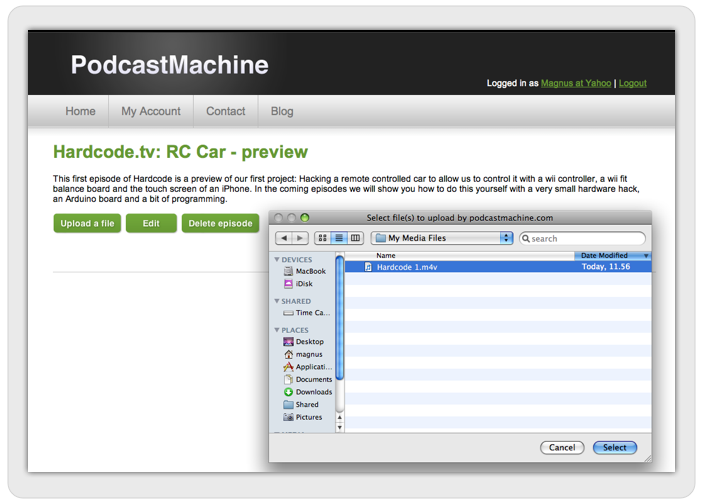 But since "Hardcode.tv" only consists of video files - the flashplayer shown here is video only. 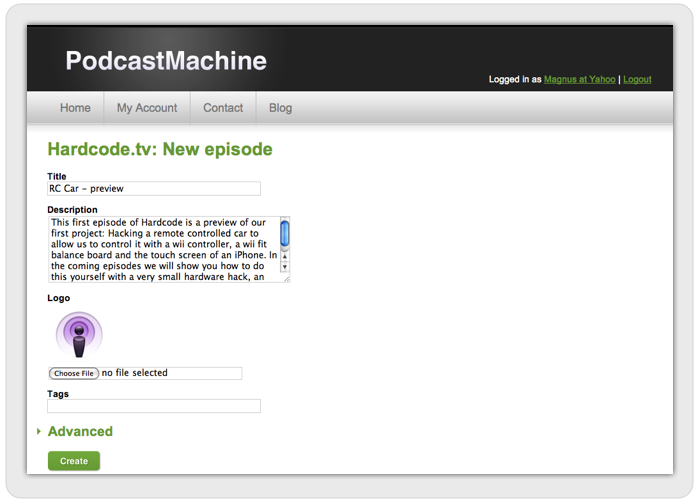 So what if I wish to send a link to my new podcast to my friends? 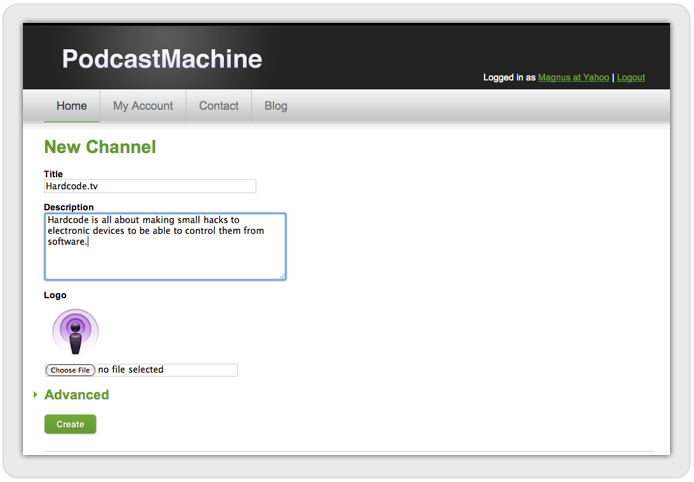 Simply use the channels public page. 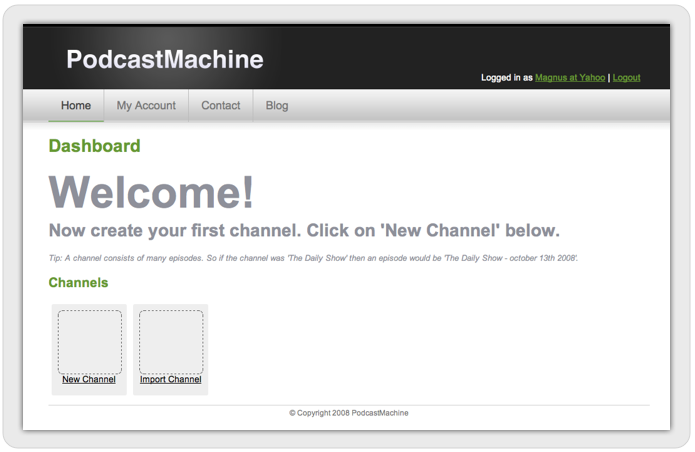 It looks like this http://podcastmachine.com/podcasts/179 - and the URL works from iphone as well. Our flashplayer plays audio as well. Here is an example. Don't forget to check out the Subscribe and Download tabs on the player. 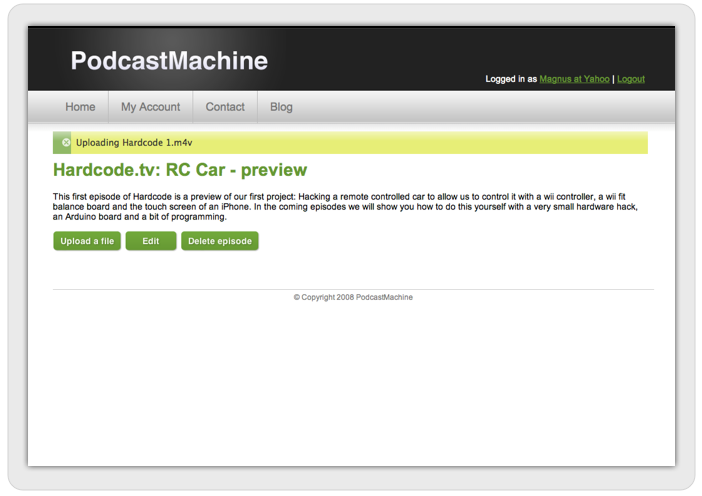 Want to try Podcast Machine for free? Sign up in 2 minuttes!